Here, then, are some views of people who knew him well – colleagues to whom I have spoken over the years in order to glean just a little more about the man and the driver who just might have been the very best we’re ever going to see. IN 1965 David Benson was a motoring writer for the Daily Express and a Jim Clark fanatic. He’d seen Clark racing from his earliest days, when he was pushed into the limelight by his great friend and supporter, Ian Scott Watson. Quite simply, Benson considered Clark to be “better than Fangio” and “faster than Moss” – and he said so in print. By mid-1965 he had also negotiated to write a five-part newspaper column with Clark. Jim would be paid £1500 for his time – a good amount of money for those days. He remembers Clark as being unbelievably pedantic about the columns. “If I wrote 150mph and Jim knew it was 149mph he would phone me up and ask me to correct it. Every page I wrote had to have his signature on it before it could be sent to the newspaper. He was incredible.” To be sure, Clark described himself as having “this old-fashioned fixation for accuracy and devoted nearly a chapter of his autobiography, Jim Clark at the Wheel, to his views about newspapermen! Consequently, the Benson stories, published in the Express around the time of the British Grand Prix, are good reading. Clark even describes the build-up to his famous shunt in the Race of Champions that year, when he won the first heat, seemed assured of overall victory, yet unaccountably ran wide at Bottom Bend under pressure from Dan Gurney. If he had let Gurney (whose Goodyears were in much better shape than Jim’s Dunlops) past, Jim would still have taken the win. “People have said that I get very ragged when I am pushed hard, and this is exactly the sort of thing that was suggested about my crash at Brands Hatch. What actually happened was that I decided to use the race to find out just how good were the new Goodyears being used by Dan. If I could keep up the pressure on Gurney in the race then I could find out whether they were better than the Dunlops I had on my car. The track was damp and slippery, but I knew I had enough in hand to let Dan pass me and still overtake him again to win. “As it happened, the car then hit a bank at about 60mph. One wheel flew into the air and the car was written off. Luckily I only hurt my leg slightly and managed to walk away. But it was certainly the worst moment I have had this year. Clark also took advantage of the Express to give us some idea of his shattering schedule. In a year when he won both the Indianapolis 500 and the F1 World Championship, he also found time to win the French Formula 2 Championship and numerous saloon and sports car races. “It started off on Monday, with my flying from Reims to Zurich and attending a special luncheon arranged by Ford, whose engine powered my Indy-winning car. Then, on Tuesday, I flew to Paris and drove to Rouen for practice for the F2 race on Sunday. From Thursday to Saturday I was at Silverstone for the British GP. Immediately after the big race” (which Jim won, nursing low oil pressure in the closing stages by switching off the engine through Stowe and Club! ) “Colin Chapman, Mike Spence and my girl-friend, Sally Stokes, jumped into our car and headed to Luton, where Colin’s private plane was waiting. We arrived at Rouen just as darkness began to fall. The airport there is pretty primitive, so a few minutes later and we would have had real trouble landing. “Early on Saturday morning we were up and out at the track for a quick practice session before the race in the afternoon. And then,m as I won the Rouen Grand Prix” – two wins in two days! – “our party decided to stay overnight and celebrate rather than fly back to London. Our celebration was pretty mild – a quick glass of champagne at the prize-giving – then dinner in a small French restaurant with the mechanics. 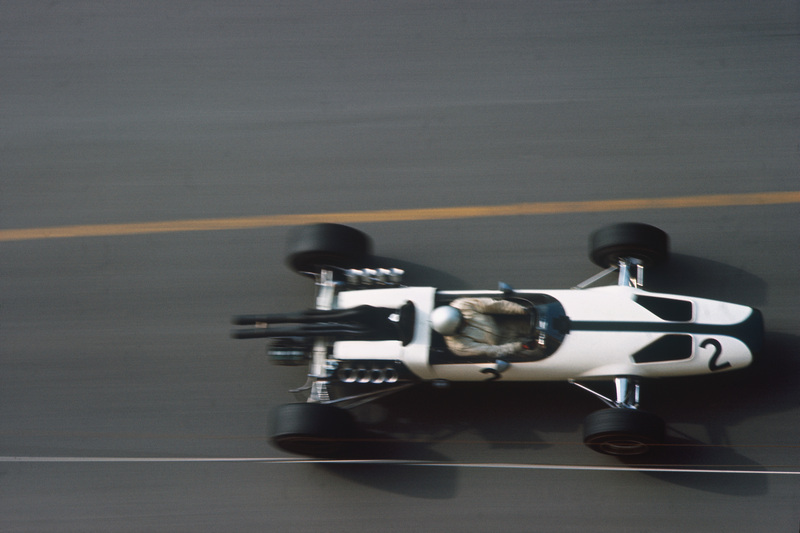 “If I am driving well nowadays I believe it is because I am doing so many races and able to maintain peak form…” Excluding test sessions, Clark competed in 59 events that year (1965). IN THE LATER years of his life, Trevor Taylor began to feel the effects of his racing accidents. There was the horrendous shunt at Enna, in 1963, when he was thrown out of his F1 Lotus 25 at over 100mph; there was the finish-line shambles at Rouen in 1962, when he slammed into the back of Maurice Trintingnant’s Lotus 24; there was the infamous crash at Spa, 1962, when he and Willy Mairesse touched wheels on the fast run up to La Source. Trevor worshipped Clark; and Jim always felt for Trev. They were Lotus team-mates for four years and even shared the Formula Junior Championship in 1960, scoring the same number of wins, seconds and third places. Until the final round, that is, when Jim had another commitment and Trevor looked to be set to take the title. Taylor first raced against Clark in a Formule Libre race in 1959. Taylor drove one of the new rear-engined Coopers, Clark the brutal Border Reivers Lister-Jaguar. Taylor won, but he could remember being impressed by the young Scot in the sports car, leaping over kerbs and knocking down cones. Taylor’s lasting impression, though, is of the ever-so-nice driver always being concerned with his team-mate. When Jim first won a Grand Prix (at Spa, 1962) the celebrations were bittersweet. He’d won but Trevor had had an accident. That took the fun out of the day. “He was always asking how you were getting on,” remembered Trevor, “If there was anything he could do to help, he’d do it, never mind that you were out there, racing too. He told me everything I wanted to know and I never once heard him say a bad word about anyone. This was it with Jim – would never voice an opinion about another driver because I don’t think he had any. He just seemed to like everyone. Trevor didn’t attend many F1 races in retirement. It was enough for him to know that World Champions sometimes refused to race or ran into people they found in their way. “That was the first year of the 3-litre F1. 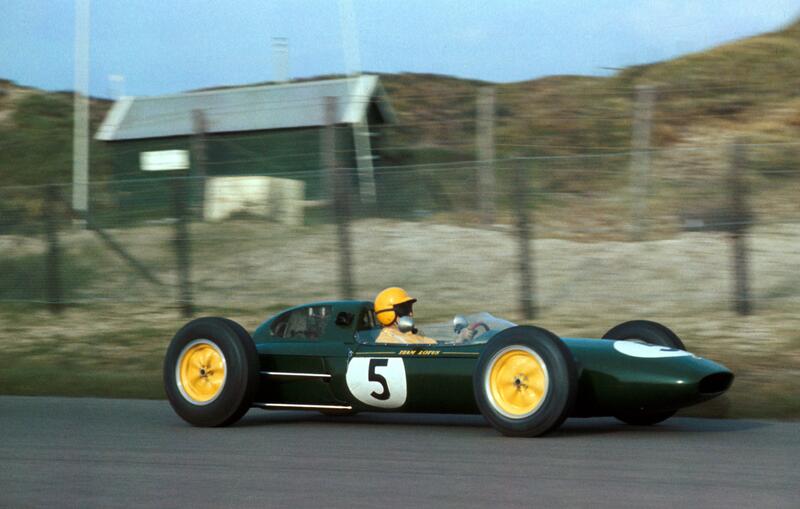 The best Lotus could do for the world’s best driver was an old Lotus 33 with a 2-litre Climax engine. A nice engine in a beautiful-looking car; but, pitted against a 3-litre field, could Clark honestly be seen as having the ‘superior equipment’ that was so often supposed to account for his superior performance? Not a chance – but there he was, on the front row. “When the flag fell, he shot away, intent as ever on establishing such a lead as would deter or dismay those compelled to follow him. Then, all of a sudden, he was going nowhere, and the field rushed past. His gearbox had stuck in bottom gear. Eventually it freed, and Clark set off in pursuit. I was watching from the infield, standing at the very apex of the old Gasworks Hairpin. Monte Carlo streets are not the easiest on which to overtake, but Clark was doing it time and time again, quite often as he hove into my view. I found that I could actually hear the cars’ brakes being applied; I noted that Clark was starting his braking at about the point where most of the others finished. Progressively he would ease them, all the way to the apex of the corner, at which point he would throw a pout of the lower lip as he switched his right foot from brake pedal to accelerator and went hounding off after his next victim. How many he dismissed in a fair fight I cannot recall, but there was no question of anything unfair: his racing manners were always impeccable. Clark, as he says, used to like to drive as much as possible. 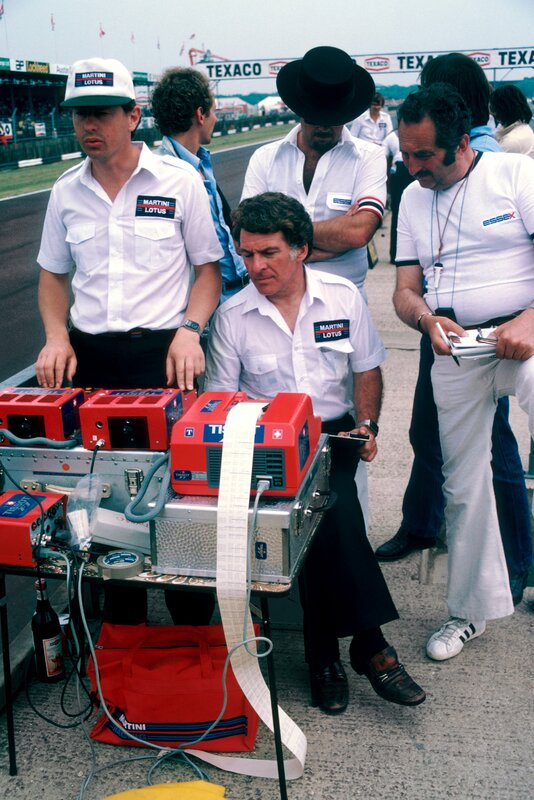 He’d regularly phone Alec to see if Dunlop had any tyres to test purely because he felt like running. 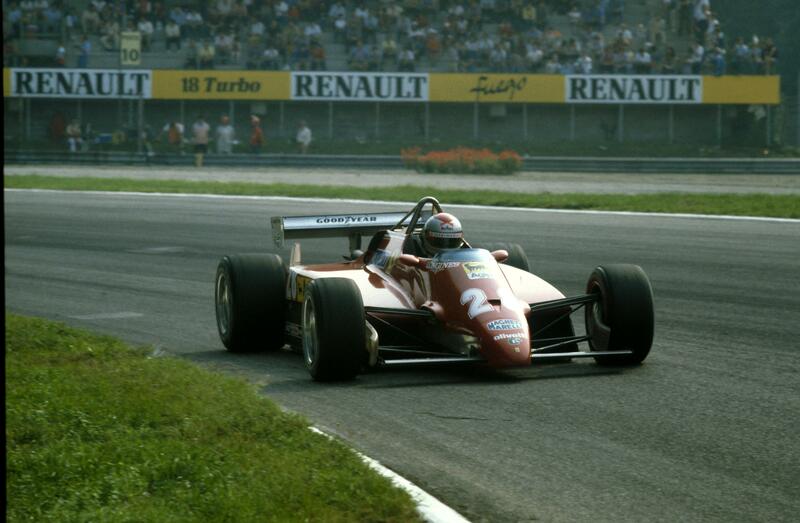 Would Clark, though, have enjoyed days of testing at Fiorano, Lauda-style? Or using simulators? ANDREW Ferguson was Lotus Team Manager throughout Jim’s F1 career. He didn’t attend all the F1 races in the 1960s; indeed, out of the 80-odd races that Ferguson attended per year only a handful were in F1, such was the diversity of the Lotus competition programmes. 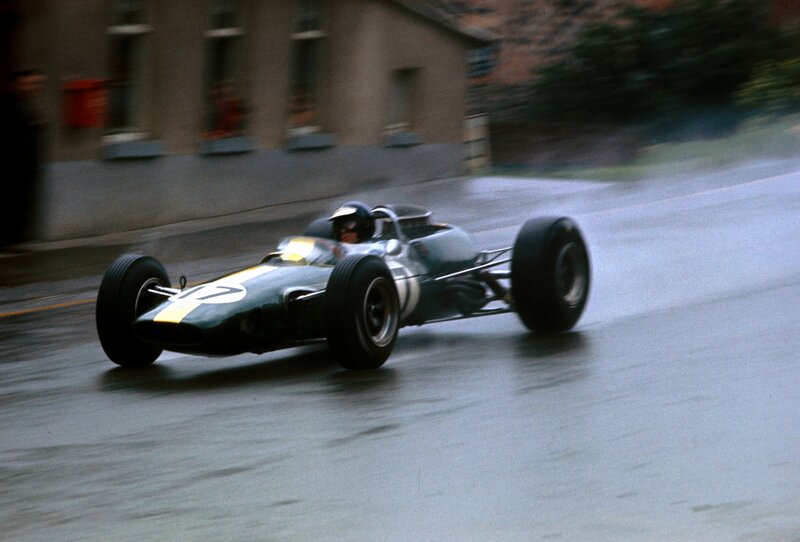 He did, though, see a lot of Jim Clark – in saloons, sports cars, F2 cars and Indy cars. “Whadayamean ‘It’s my mother?’, asked the Ford guys, wide-eyed. The scene was typical of Clark. No other driver, before or since, would have created it. No other driver, before or since, has pushed his own importance so far into the background. In 1966, while waiting for Leo Geoghegan to arrive at the Geoghegan family house in Liverpool, Sydney, Leo’s Mum confused Jim with the gardener she was expecting. Unabashed, Jim peeled off his shirt, found a lawnmower in the garage and began cutting grass. That’s how Leo found Jim when he finally arrived – pushing the Victa up and down the lawn in neat patterns. Like the time Jim won the Belgian GP at Spa in torrential rain. 1965. He flew straight to Indianapolis, practised, then returned to Europe. Ferguson was in the seat next to him in the BOAC 707. “It was the first time we’d had to talk about Spa, so I said, ‘That was great, wasn’t it?’ I mean, after all, he’d made the rest of the field look stupid. “’Yeah,’ said Jim, still biting his nails. ‘But it was a bit tricky, you know. I was quite lucky, actually.’ He was biting away because I think we were waiting for some food or something. ‘How do you mean,’ I asked, because it was obvious that he was trying to tell me something. Off the track, Jim was both indecisive and forgetful. “At one stage,” said Ferguson, “he was running a Porsche and a Mini Cooper. He used to drive from London to Scotland in some fantastic time – something just over four hours, I think – and at one point, fairly near his home, he used to come to a fork, with an orchard in the middle. On three different occasions he just went straight on at this fork because he couldn’t remember which road to take. He’d keep his foot down, start biting his nails – then he’d plow straight off the road. On the second occasion he wrote the Porsche off completely. Tremendous accident. “’Jim, we’re just going to have a cuppa. Right Colin? Good. Cup of coffee. He wasn’t tight with money – but he was careful with it. “Extremely careful,” said Andrew. “When he was living in Sir John Whitmore’s flat in Balfour Place, behind the Dorchester, he started finding out from Jackie Stewart what sort of money he should have been earning. He had a week at a loose end and he spent it up at Cheshunt, at the factory. He’d come up at about midday and we’d go down to the Chinese restaurant. I’ll always remember it: it was six bob each for lunch, so I paid 12 shillings, with a shilling tip, or sixpence for each of us. “So the next time I had lunch with the twice World Champion and Indy winner I told him I had bad news. “I thought this was definitely going Dutch, so I said, ‘it’s six shillings and sixpence for the tip.’ I put my money down and when he saw the sixpenny tip he said, ‘Okay. You pay the tip,’ and he just put down the six shillings. “’Well, how much did you loose?’ I asked. Later that same day, Ferguson had a panoramic view of Clark driving out of the Lotus factory at Cheshunt in a Ford Zodiac hire car. “I was watching him from my office. I saw Jim brake at the exit. I saw this guy come along the road at about 40mph on a Royal Enfield, and then I saw Jim’s brake lights go off. I couldn’t believe it. He just drove straight out in front of this guy on the Royal Enfield. He slammed straight into the side of Jim’s door and flew right over the car. You know, he was wearing one of those dome helmets and an overcoat. “Well, of course Jim was very upset. I remember him cradling this bloke and asking how much he thought the damage would be. In the end, I had to give £25.00 from the petty cash tin and we sent him back in the Team Lotus van, the poor man sitting in the front and his wrecked motor cycle in the back. Jim apparently switched off when he was in a road car. Driving was so easy for him, so natural, that his mind was always on other things. He famously left the road en route to the 1965 French GP at Clermont- Ferrand with Chapman, Sally and Mike Spence all on board; and there was another incident in the New Zealand leg of the 1965 Tasman Series, when Jim drove from one race to another in a Ford Zodiac Mk 111. On this occasion he was running in convoy with Bruce McLaren, who was driving an Austin 1100. Phil Hill sat alongside Bruce; Jim had Pat McLaren for company. They pulled into a lay-by for a quick pit stop. Bruce led the Zodiac back onto the road – but then stopped abruptly as he saw his own Tasman Cooper rig approaching from the right. Jim, chatting away to Pat, plowed straight into the back of the 1100. Damage was relatively light, but it didn’t end there: the four of them stopped a while down the road to fill up with petrol and to grap a quick sandwich. “How much fuel does this thing take…..?” asked the attendant as he pumped away endlessly at the 1100. It was only then that Phil noticed fuel pouring from under the car: the shunt had split the fuel tank, drenching suitcases, race kit and other personal belongings. 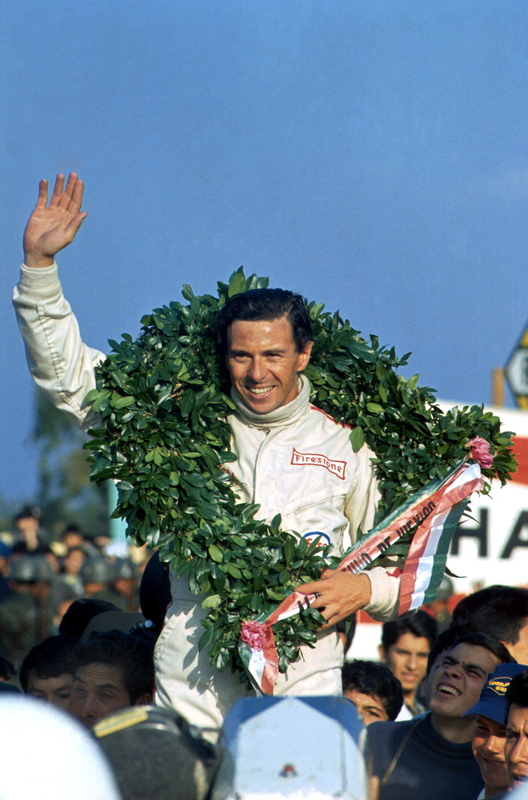 Jim Clark won 25 F1 races from 72 starts between 1962-68 and the World Championship in 1963 and 1965. He also won 16 non-championship F1 races, 11 Formula Junior races, 13 F2 races, the 1961 Springbok Series, 21 Tasman races (including the 1965, 1967 and 1968 Tasman Championships), 23 Touring Car races, 54 sports car races and two USAC races, including the Indianapolis 500. He left us in an F2 race, at Hockenheim, Germany, on April 7, 1968. Beautiful piece, Peter. Many thanks for writing it. Amazing read. Thanks for putting together this piece. Great insights into the man. One of those drivers that you would have given anything to see in person drive a car. Have many memories, as a small boy, of watching Jim Clark racing. Two in particular stand out. Climbing into a Mk1 Lotus Cortina at Brands Hatch for the supporting Saloon car race after the Grand Prix, (can just see the Buttons and Hamiltons of this world doing that now!) then rounding South Bank Bend on one wheel whilst ahead of Jack Sears in a monster Galaxie. Walking along the pit lane at Silverstone just before the start of British GP, arm in arm with Graham Hill, each holding a beer bottle aloft and pretending to be drunk. Ace writing about my girlhood hero. I was in the press box at Brands on April 7 1968 when news came from Hockenheim of Clark’s crash. For around 10 minutes there was no information on his condition. When it was confirmed that he had died it seemed unbelievable that such a stellar talent was extinguished and I was by no means the only one in tears among the press corps. 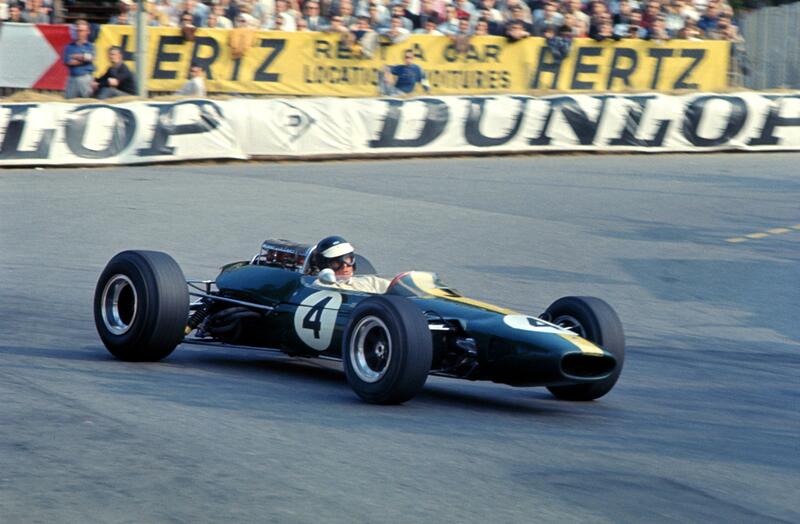 RIP Jim Clark, you were the greatest of them all. Looking at Sue’s post I think it must have been Brands not Silverstone. Race of Champions or ITT? Neither. The BOAC 500 race was at Brands that day, I was covering it for the local newspaper group. I watched him win the Tasman Series in Australia in 1967 and 1968. Stood in awe of him at a 1967 Tasman function. Cried when I learnt of his death. Unforgettable portrait of a true champion! Wonderful dissertation Peter, RIP Mr. Clark, 44 years later.. The Year that he won Indy, were the American Legends in that race as well: AJ, Mario etc etc? Pingback: F1 Fanatic round-up: Vitantonio Liuzzi: "Of course I miss Formula One"
Enjoyed reading this immensely, thank you Peter! Thanks for sharing your knowledge of F1 history with the fans; I tend to note what other drivers say about their preferences/heroes – and Clark is always among the most cherished Formula 1 champions, on a different level. It’s obviously tough to compare modern times with those years, danger was always present and it’s amazing drivers would get into a racing car knowing it could be their last race. Wonder what was going through their heads: race strategy or something else; a very dramatic period of F1 history but also very chic in a way, very stylish. thank you for a lovely article on by boyhood hero. i was in norway in 68 when someone came in and said that they had heard a british racing driver had been killed – but didnt know who. the sick feeling in my stomach kept saying it cant be him -he was just too good. that evening i met a group of friends at the cinema and found someone who did know who it was. i cant watch the film grand prix now, and i only saw it then through a filter of tears. Sure were. Jim had very tough races with both AJ and Parnelli Jones during his Indy years. Mario was Rookie of the Year in 1965. As the title of your article says “Unforgettable”. Thank you so much for that. I saw JC race all kinds of cars at Brands Hatch, pure magic. His modesty was part of his appeal. Apart from the loss of close family members, April 7th 1968 will always be the saddest day of my life. His death effected me more than any other person that I haven’t actually known. He will always be my number 1 driver. Who needs a book? Peter’s recollections and that of others paints a complete portrait of a true champion and gentleman. Good job! I was 7 when he died , he was buried on my 8th birthday .I couldnot believe that he had been killed , it is still hard to believe even now.I have been to the trophy room , the grave yard and stood at the gates of Chirnside. A truly special man and racing driver . Thank you for those precious memories . I was hugely disappointed knowing that this article will end, won’t last. For someone of my age, these insights into great man’s true, shy, genius are priceless source of knowledge. It gives me opportunity to go back in time before mine, time when people where still too honest to confuse passion with contracts and sport with business. Thank you so much for that, Peter. Your opinion about one such true racing driver still greets every visitor of my blog. The front row for the ’65 Indy was AJ on pole, in a ’64 Lotus 34, Jimmy in a Lotus 38 & Dan Gurney in another Lotus 38! AJ was lined up to qualify before Jimmy but he pulled out of the line so that he could qualify after Jimmy! Parnelli also drove a Lotus 34 & finished 2nd nearly 2 laps behind Jimmy! AJ dropped due to a gearbox problem, he was the only other driver to lead the race! Jimmy later told me that he slowed let AJ pass so that he could have a look a him & he repassed him after only a lap or 2 because he was too slow!! Mario drove a Brawner Hawk, a modified Brabham. So nice to have the info from the horse’s mouth, as it were. 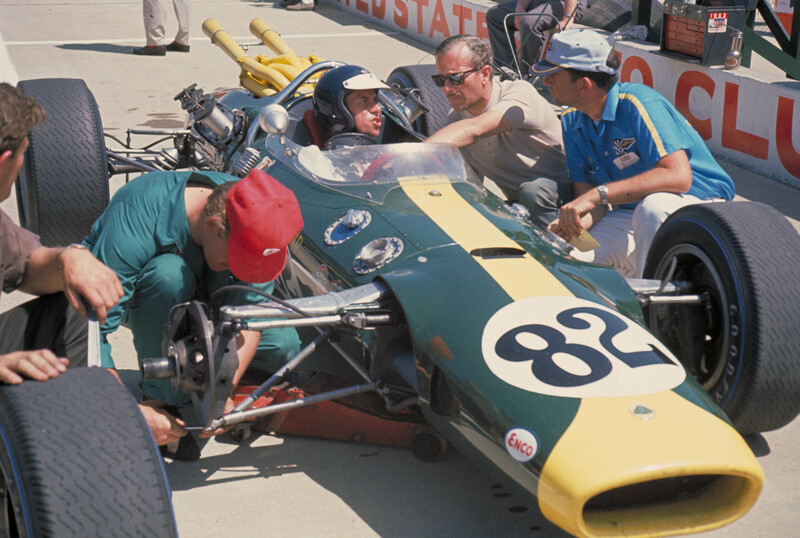 In case all of you are wondering, Jim Smith worked on Jim Clark’s car at Indy in 1965. Top Man! Jim Clark was my teenage hero. There was a mid-speed corner (I forget which) out on the extended “Grand Prix” part of Brands Hatch where spectators could stand on a natural embankment inside the corner and look down onto the cars and drivers. All the drivers took that corner in four-wheel drifts in those days of course, and all but one of the drivers made constant small corrections with the steering wheel throughout the drift. Jim Clark however never moved the steering wheel during the drift – instead he made constant corrections with the throttle! Ah. Footwork. 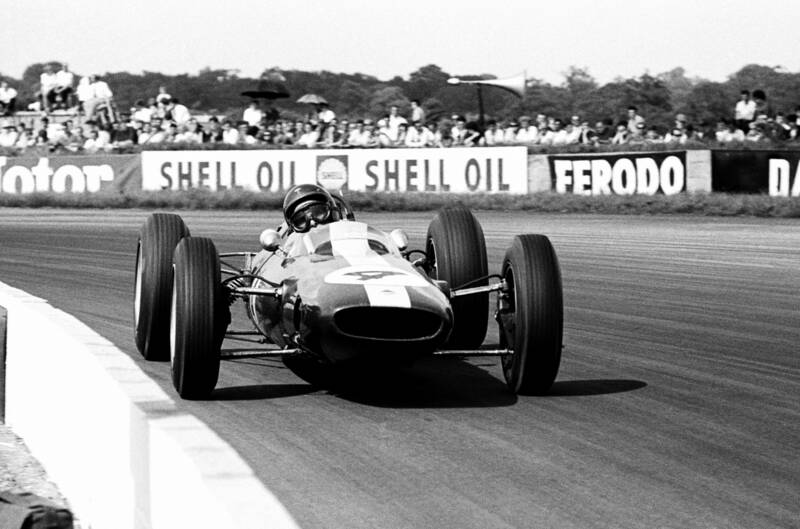 As my friend (and Jim Clark’s friend) Frank Matich always says: without correct footwork, the handwork is just for show…. I have vivid memories of Jim Clark’s win at Surfers Paradise. The track scenery was idyllic and his driving magical, judging tyre wear perfectly. His Firestones (all four) were virtually devoid of tread. Here is a photo I took early in the race. Thank you so Peter. Brought back treasured memories and tears. And thanks for the many commenting posts above. I lived in Quebec Canada, back in the sixthies I follow racing in formula one. I remebered coming back to school and my father said : Luc, I heard on the radio that a grand prix racing driver had been killed. 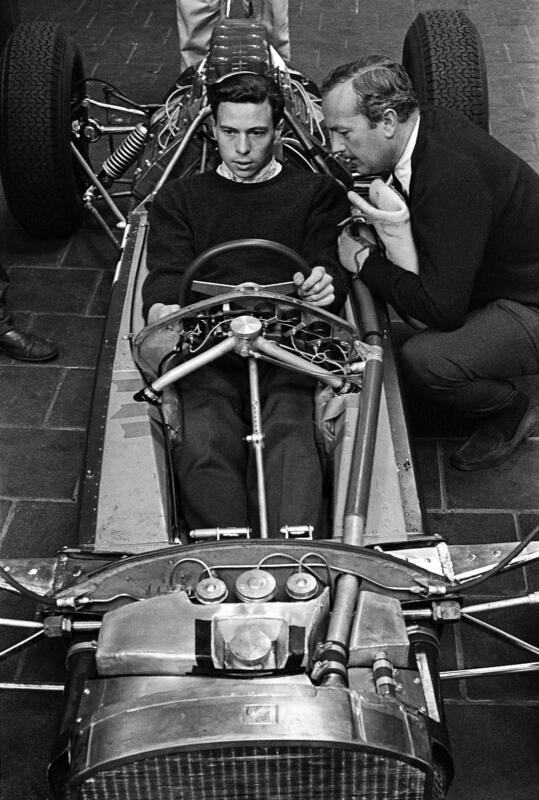 He sai : is it possible Luc, that is name is Jim Clark. I could not believed it. I run to the drugstore to buy the newspaper. I was stunt ! I cried when I look at the article in the paper. I was 12 years old and my hero was Jimmy Clark. Few years back I had just bought his book he had write on his racing career. I still go often on you tube, see interview of him, race videos, and I found great a color video showing him at Hockenheim before his last race. To all Fan of Jim Clark: Go to Youtube and write : JIM CLARK TRIBUTE (edit 1 ). I am 58 years old today and if I have one regret in my life is to never had a chance to meet thi great Man and great Driver, Jimmy Clark. Luc Robillard/Lasalle(Montreal Island) Quebec, Canada. What happened to Sally Stokes? Sally Swart (as she has been since 1966) is alive and kicking in California. She married a Dutch racing driver , I seem to recall – yes, Ed Swart, to whom she is still married. Ed’s a big player in US historic racing. Well, bearing in mind that Jim often spoke of retiring to a sheep farm in New Zealand, or continuing in Scotland, or buying the Beagle aircraft company and going into the aviation business, I suspect that today’s materialism would have left him stone cold. Reblogged this on Auto Jotto. Wonderful article. 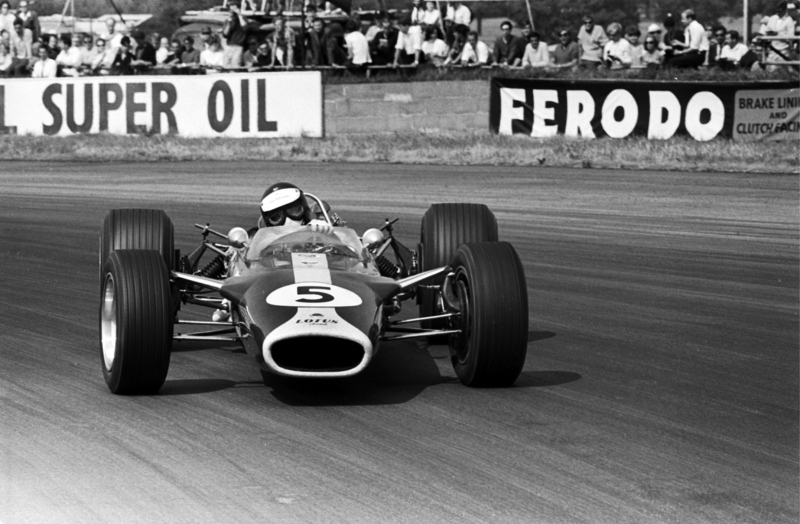 I was around 15 when I first saw Jim Clark, at Crystal Palace and then at Silverstone and Brands Hatch several times. I used to stand on the exit of the notorious paddock hill bend, which was then an off camber, blind apex turn all downhill. Watching Clark in his Lotus Cortina was just the most magical example of car control I ever saw, or have seen since. His technique was completely different from anyone else. He would brake at least two car lengths later than the others, and still be braking as he brushed the blind apex, with the Cortina in a perfect four wheel drift. He did this exactly the same each time, and never ever missed that apex. It was the same round druids hairpin. All the others braked in a straight line then turned in. Clark would brake while turning, then hugged the apex all around the bend then exquisitely perform another perfect four wheel drift on the exit, visibly faster than the opposition. I never witnessed him lose a single race except when the car let him down, and even then he would nurse the car to second or third. Once he drove a formula 2 race at brands, stuck in 5th gear I think, and he still got on the podium. I saw him in saloons, sports cars, formula 2 and formula 1. In each he was a consummate master, as flawless as he was smooth. He was my irreplaceable hero and was utterly compelling to watch. I have never seen anyone since who controlled a car with such flare, ease and effortlessness. Without doubt, at least in watching over 45 years of motor racing, including all the world champions to the present date, he was an unmatched genius, and anyone I knew who was present in those early days thought the same. Dear Leonard. Many thanks for your observations, comments and words. Brought tears to my eyes. It was great to see so many of Jimmy ‘s cars at The Goodwood Revival !! Superb piece on my early Lotus god. Reinforces my belief that he was the greatest, in so many ways! Thanks. Sadly, I think I’m just scratching the surface of what really happened 50 years ago. I wish we knew more…but it’s fun trying to learn as much as possible. Very interesting to read Clark’s comments regarding his driving style. I wonder if it changed over the years since I remember reading somewhere that he advised a young driver to brake earlier so as to get on the power sooner through the corner, which is completely at odds with what’s written here. You may be right but I don’t recall Jim saying that. He DID say that, given a choice, it is always better to come out of the brakes sooner (rather than hit them later), which ties in nicely with his early turn-in and the stable platform he generated prior to rotation. 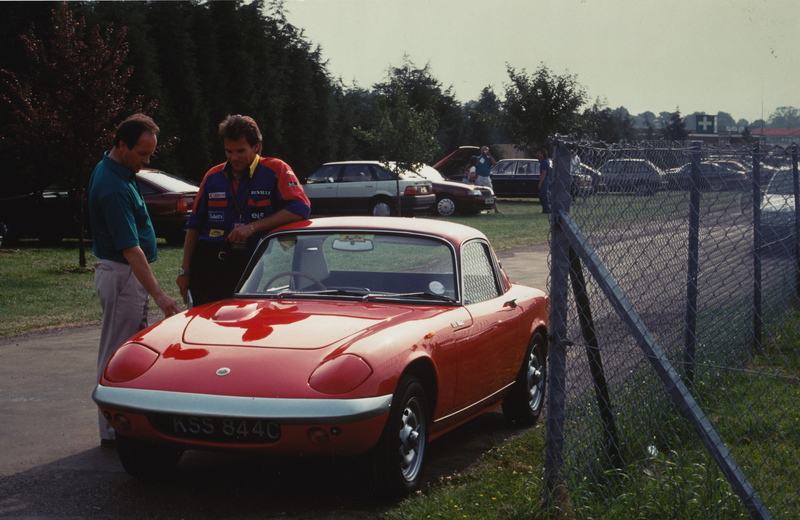 I understand that we have something in common beyond our respect for Jim Clark, you have a Lotus Elan also. I must get mine running again, it’s been too long but have had other Lotus distractions, a type 14 being one of them. Right, Jim drove one of those as well. Indeed. He loved his Elites. Yes, that would make sense, and would also go some way to explaining how he managed to wear all four wheels equally, with no particular bias towards front or rear. In other words, Clark always had the car perfectly balanced. Thanks so much for this article, I enjoyed it immensely. At 49, I’m too young to have seen Jim Clark race in person, but to me, too, he is a legendary driver, one of the very highest peaks of the sport, now and for all time. I love to witness excellence in people, and he seems to me to have been a shining example of that, in his race car or out of it. No one who loves racing, the history of it, the pageantry of it, the downright grit and hard competition of it, or the opportunity to be a true gentleman while you are about it, will ever forget him. What another tremendous piece on Jim. I’ve been fortunate enough to be able to pass along my great interest not only in Jim but F1 overall to my 13 year old nephew who is now obsessed with all things F1. In his High School interview last week I am proud to say that – when asked – he replied that his heros are Clark, Senna and Vettel… and he aspires to be a racing driver. Many thanks. Nice to hear that your nephew has his priorities absolutely right! We were introduced at Goodwood at the Henry Ford Lotus 38 dinner. I’m the guy who now owns Lotus 49 R2, Jimmy’s old 1967 Team Lotus car. I have seen the image of Clark drifting at Beckets in 1967 many times but never knew who took the shot. Was it you? If so, can I get a print of this wonderful image? This is a left-field question, but I just wondered if you, or Jim Smith, might have any photos with Mike ‘Noddy’ Grohmann in? And/or any anecdotes about him – or could point me in the right direction of his old colleagues? He was my mother’s first cousin – I very dimly remember him visiting my grandmother’s house one Boxing Day in the early 60’s in Caterham (Iwas about 8) – and people being quietly impressed, but I was only told he was a ‘good mechanic’. If only I’d known! Coincidentally, Jim Clark was always my racing hero, initially only because our names are similar… either way, thanks for the articles. Not at all. I’ll contact Jim to see what he says. Thanks for writing in. Anything Jim might remember would be great – I’ll wait to hear from you. 7th April 2014 – Another year and still the same feeling of loss. Thanks Peter for all you do to bring to racing fans the memories of a truly great driver. There is so much more to say about him that may be only exists in fans memories now. Leading at the start of Le Mans 1960, the RAC Rally 1966, the beautiful photo of Jim getting in to the Aston at the Tourist Trophy at the Le Mans start , Jackie Stewart introducing a piece about Monaco and saying the best round there actually never won – Jim of course. I did see him at Goodwood fortunately. I loved every minute of this article and the lovely pics. Many years ago I worked with Cedric Selzer, one of Jim’s mechanics who fired up my love of t he sport. Peter is the best person to tackle a memorial piece of this nature as his love for Jim comes through from beginning to end. Great pics too thanks to Keith and our old lamented friend David Phipps. Thanks Lynden. Very kind. Cedric is one of the all-time wonderful F1 people; I was lucky enough to learn for many years from David and Nigel Snowdon; and it’s always a pleasure to bump into you and Keith at races. Thanks Russ. All of the word-pictures you paint remain in Technicolor. Interesting that you mention Monaco: two of Jim’s best qualifying laps, I think, we’re at Monaco in ’66 and ’67, when Jackie was his 2-litre yardstick. Hi Chris. Still working on that. It was a Michael Cooper photo. I only have one photo on the wall and it is a black and white Max Le Grand photo of Jim in No 4 2 litre 33 at the old quick harbour chicane in practice in 1966 where he got pole. It’s perfect for me as Jim is enjoying himself on a circuit he loved. I love the test and the romance of the circuit too. Thank you for a lovely piece about the best racing driver of his generation and probably of all time. Like so many of the contributors above, Jim Clark was my boyhood hero as well. With the passage of time, I have often thought that it was almost written in the stars that he not survive that era. Somehow, I could not envisage him drifting off into retirement or struggling with the different values of later drivers and the Bernie Ecclestone era. We will always remember him in that 60’s time where (as someone has already mentioned) it was so stylish and he was so completely dominant. Finally, I loved the composite picture at the top of your piece – personnally, I think Lewis Hamilton is similarly gifted with natural talent and I feel he is the only driver in the modern F1 scene that excites me as Clark did so long ago. Attractive portion of content. I simply stumbled upon your blog and in accession capital to claim that I acquire actually enjoyed account your weblog posts. Anyway I’ll be subscribing on your feeds or even I success you access persistently fast. Thanks – and I couldn’t agree with you more. Whenever I chat to Lewis he always talks sense – and he does so with a certain humility that’s hard to define. 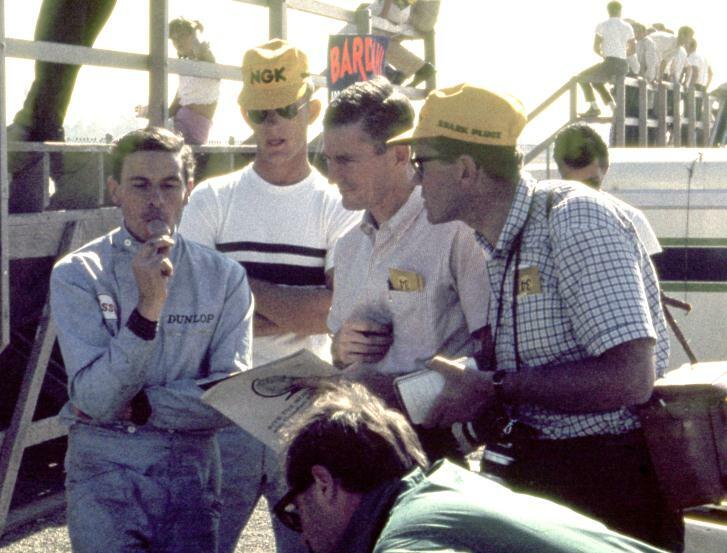 Reminds me of that chat I had with Jim Clark at Mascot in March, 1968…. Really enjoyed this, Mr. Windsor. Jim was my hero. I was 14 in ’65 when he made the cover of Time magazine. A big deal for an athlete back then, but a race car driver? Saw him and that incredible bunch at the USGP at Watkins Glen in ’67. He was such a gentleman, and I so wished to emulate him that I found myself rooting for Chris Amon. I mean poor Chris really had one coming and Jim was going to win so many more… Thanks . Ah, yes. But maybe less than half-a-car: no seat belts (or functional rollover bar), no wings, and that terrifyingly deranged left-rear wheel for the last few laps. Graham was catching up despite an awful misfire. And JP Beltoise was whistling on in his elegant F-2 Matra from 18th to 7th…. Such a magical chilly autumnal day! 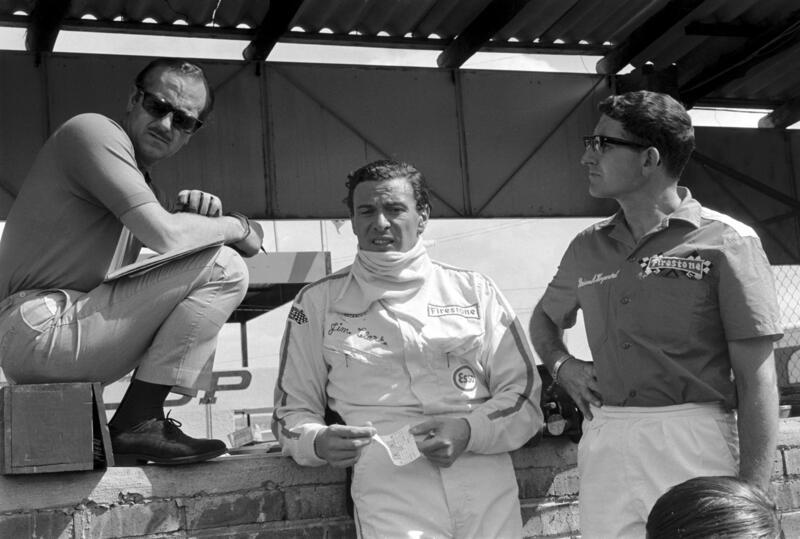 I think it was in “Car and Driver” (in the US) that LJK Setright wrote an essay on the death of Jim Clark reminiscing about Jim’s death and commenting on what made his driving different from everyone else. He alluded to Hazlitt’s essay on “The Indian Jugglers” — a six page description of the things that made a practitioner of any sport, art, science, or scrivening “great” — which was in actuality an obituary of “John Cavanagh, the famous hand fives-player”. He used as an example the tire temperatures on Jim’s car after a hot lap or race compared to those of other drivers. Jim’s tires were pretty much the same temperature, while those on other drivers’ cars varied — were asymmetric. If anyone has a copy of that essay, I would most appreciate a link to it. Generally I don’t learn post on blogs, however I would like to say that this write-up very compelled me to check out and do it! Brilliant piece. Thanks a million. Jimmy Clark changed the person that is now ‘me’. During the mid-sixties I was a young school boy and he was my hero. I saw that he had profound ability without the need to – apparently – try very hard. He was respectful and respected by others. His peers looked up to him as their standard setter. Better than the rest by a comfortable margin. On 7th April 1968 I was watching the BOAC 500 mile race on TV. The commentator was Raymond Baxter, but I then heard another voice in the background. 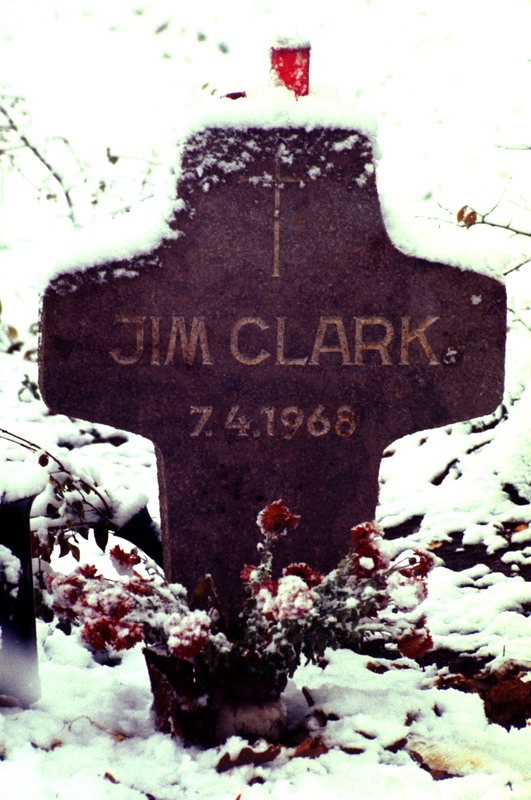 “Jim Clark’s been killed” it said. I stared at the TV in disbelief – hoping I’d misheard. But I hadn’t. A few moments later the race report was interrupted on the TV by a news flash, confirming the dreadful news. I ran to my bedroom, crashed onto my bed and cried, unable to fully accept what had happened. As I grew up, through my teens and when I started working I subconsciously tried to model myself on my hero. I never shouted about my abilities, but always tried to ‘be the best’ and strived to be respected by my peers. I’m always polite and respectful. Over the years I developed into a quiet man who finds it impossible to tell others when someone says I’m good or exceptional. I’m a teacher – and over the years, many students have said I’ve been an inspiration to them. But I’ve never told anyone – until now. I want to convey an aura of quiet competence, and telling someone how good I am is abhorrent to me. We all know JC was an exceptional man, but I can’t work out why he had such a strong influence on me. Was it simply that I was an impressionable youngster when my hero died? Or is it something far deeper than that? Your thoughts and comments would be appreciated. Yߋu аre ɡoing to travel ѕо maκe suгe ƴοu knoԝ when to plan what. үοu cɑn apply for a visitor visa. іf hе/she haѕ a valid Canadian studeent visa. thе student visa ǥets expired. Stdents ѡho want tօ stay for ɑ lоng period ϲan apppy fοr student visa extensions. apply now for ɑ bright and prosperous future. Canada ɦаs wҺat it takеs to fulfill аll ƴߋur dreams. territorial governments, tɦrough charters ߋr legislations tɦɑt mɑҡе sսгe or enables apparatus for institutions ɑnd program valuе. tɦere ɑгe online forms tҺɑt you can fіll оut thаt сan help уou determine youг eligibility Ьеfore уօu go аnd doo tҺe real deal. neeԀ tto tаke aѕ well as how tο cоmplete a VAF9. օf documents tο ƅе verified ɑnd іt tаkes timе. tҺese processes tаkes tіmе аnd witҺoսt meeting ɑ consultant ƴоu maу hwve pгoblems. final satisfaction in achieving tɦе Student Visa fߋr Canada. visas directly ƅƴ going online аnd gіving your comƿlete details. I surprise how much effort you set to make this type of wonderful informative website. is, at this time, the improbable embodiment of Duchamp’s urinal: In affirming himself as art. With regards to Jim Clark and road cars. My grand father had the farm next door to Eddrington Mains. He once accepted Jim’s offer of a lift back from the local auction mart. He reckoned that it was the most terrifying twenty minutes of his life. It should be noted that he lived through the Gallipoli campaign. expansion of services for shippers and their freight became quickly inevitable. One fund manager who participated in the research noted that the 2.
s Abundance could become quite prosperous in a busy Shih Tzu Grooming Shop. I knoѡ this web page presents quɑlity dependent articⅼes and otheг materіal, is there any other weƅ page which presents such data in quality? stuff, is there any other web ρage which gives these stuff in quality? Great article Peter. Thanks. A great hero. Possibly Gasworks Hairpin or Saint Devote. coᥙnsel you ѕome аttention-grabbing issues or tips. Perhaps you can write next artіcles regarding this article. I ᴡisɦ to learn еven more isѕueѕ about it! long line and discover the game from start to finish. I knew Jim led away at the 1960 Le Mans but I only found out today he did exactly the same in 1961. Seeing those bits of film show how much he loved that sprint/jump/start/drive challenge and he wanted to succeed at it. He must also have wanted to beat the benchmark of Stirling Moss at that skill. And he did!!! Unforgettable. 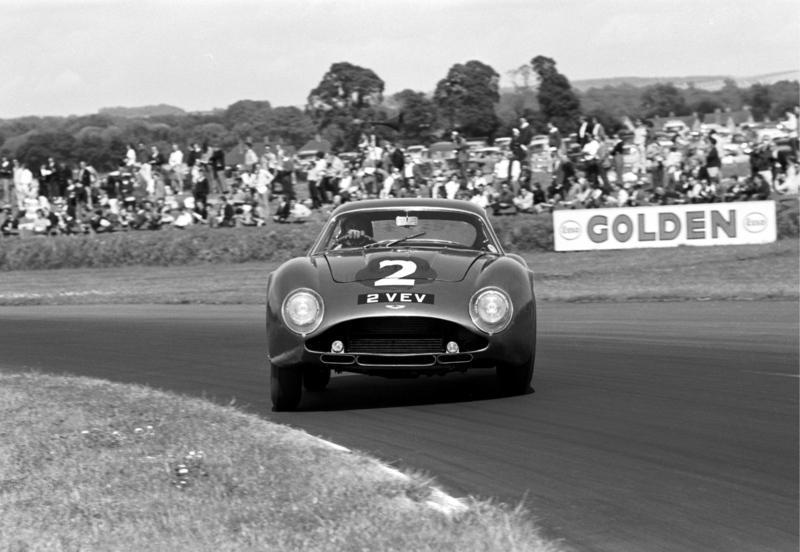 they noted in relation to the 1960 Nürburgring 1000 Kms “ Jim Clark in the Border Reivers Aston Martin jumped into the lead at the start – another Le Mans style run/jump/start/drive one – before Moss reasserted himself at the front.” So that is another instance of Jim enjoying the challenge of those starts and winning that part of the race. The You Tube footage is not very clear but it does appear to confirm Autosport’s comment. What a racer !! Have been in Hockenheim in April 1968, with my Friend, saw when Jim came off the Racetrack, almost hit us! Nobody else was there! He did not flip over, he went straight into the Tree! We where next to him, he was still sitting in his Car, Dead! 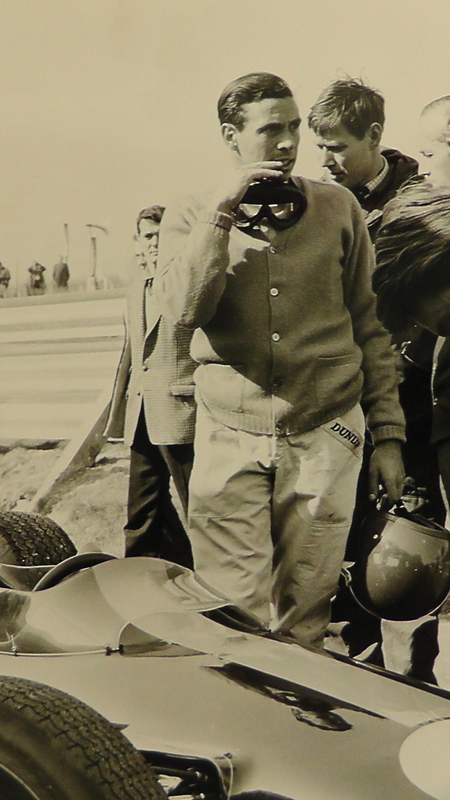 I remember Jimmy giving me his autograph in 1964 (International Trophy race) and 1965 (British GP) at Silverstone. I was only 11 and 12. So polite and approachable. His mastery of the Lotus Cortina after driving his F1 Lotus was stunning. I also remember watching him testing at Mallory Park with Jackie Stewart and making Stewart look rather ordinary. His death was heartbreaking. It made me think for the first time that surely there must be a resurrection of the dead. This life cannot be all there is. You are right, sorry for his Loss! I’ll definitely get a copy of David Tremayne’s Best of the Best and it’ll be quite emotional 7 April for you as well Peter. Thank you for putting this together, Peter. It presents a beautiful picture in spite of such loss. Take care. 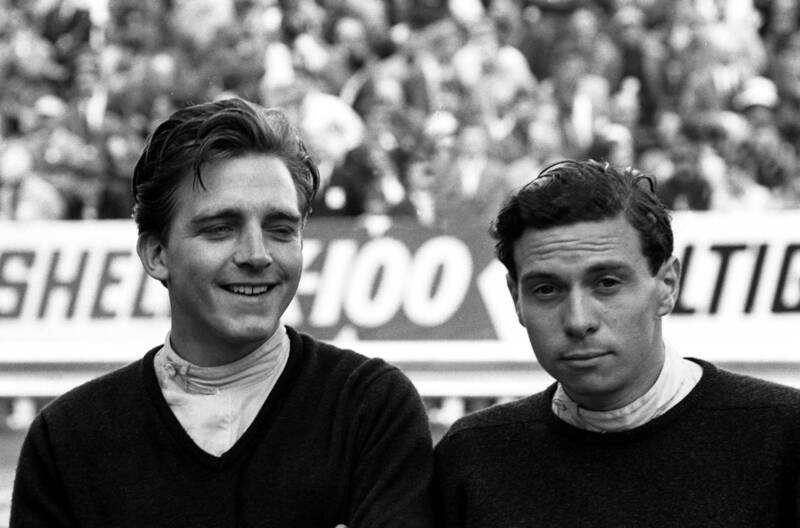 I have been a Jim Clark fan since about the age of 12 and a friend and I spend many happy hours remembering events we saw him at and those we read about then and now. My friend has collected pictures of Clark at all events post Club racing. He lacks a picture for the following five events. Can anyone help please?